The best Mahjong game! Beautiful, Fun and Challenging! Chipmunk Rolly lost precious acorns and is in despair. Go on an adventure with Rolly and help to find them! 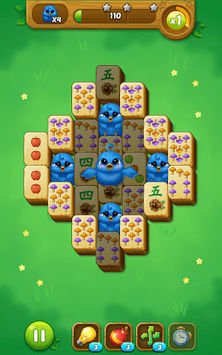 • Match all the tiles to complete a board! • Save baby birds stuck between tiles! • Collect shining gold acorn tiles! • Enjoy 180+ fascinating layouts. • Easy to play, gets challenging as you level up. • Use great boosters in a difficult situation and get over it. • Collect various and unique collection items from each chapter. • Customize cute character with wonderful outfits! • Amazing and beautiful graphics and sound effects. • Mahjong Forest Journey contains the ads like banner, interstitial, video and house ads. 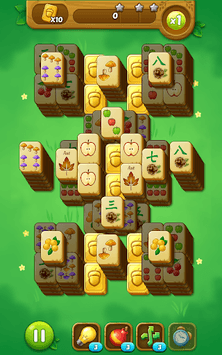 • Mahjong Forest Journey is free to play, but you can purchase In-app items like AD FREE. 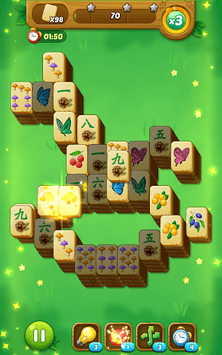 Have fun with Mahjong Forest Journey! • Thank you for playing game. Enjoy!